Users of the Tumblr iOS App are sure to be please to learn that a new update to the application has now added a numb erof new social features, together with the obligatory bug fixes and performance tweaks. 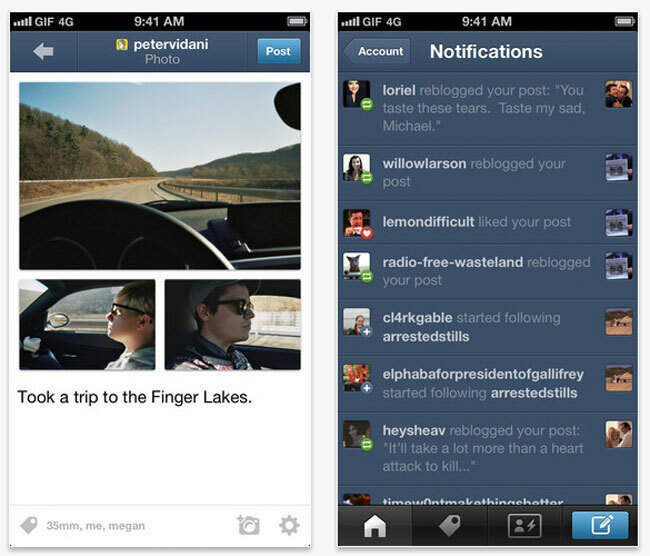 New features of the Tumblr iOS App include the addition of features allowing users to share posts via Twitter, Facebook, and more. Together with the ability to save stuff for later using Instapaper and Pocket, and email an entire post using the new template within the latest Tumblr iOS App. Other Tumblr iOS App features include the ability to Fling a photo up or down to close it, animated gifs when you scroll (iPad 2, 3 and 4, iPad Mini, iPod Touch 5th Generation, iPhone 4S and 5 only).